The longest total lunar eclipse of the century transformed the moon into a reddish orange color for more than 100 minutes, according to NASA. The eclipse was not visible from North America, Noah Petro, a scientist for the NASA Goddard Space Flight Center, told ABC News. Star-gazers in areas near the Middle East, south or eastern Africa, western and southeast Asia and India were be able to catch a glimpse of the celestial event as long as the weather permits, Petro said. 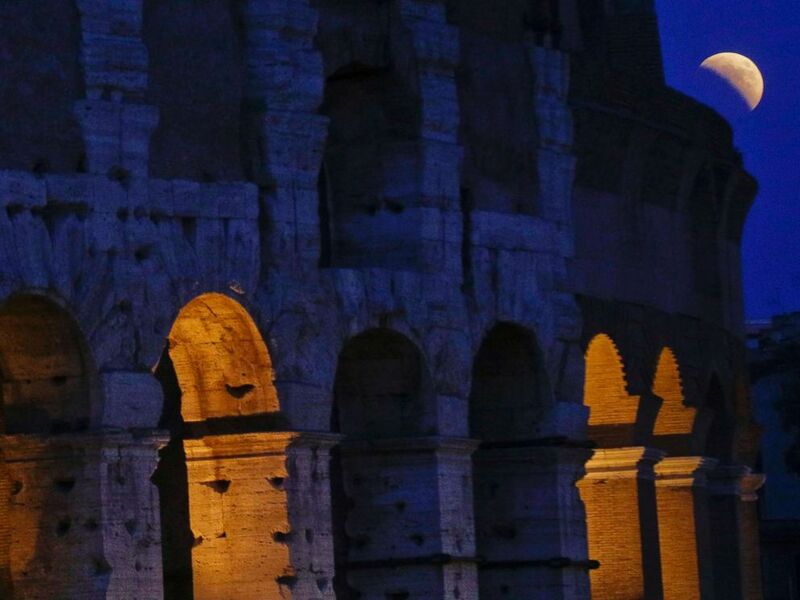 The moon rises over the Colosseum during a complete lunar eclipse, in Rome, July 27, 2018. In those areas, the totality of the lunar eclipse -- when the moon will retain its red color -- lasted for about an hour and 42 minutes. The entire event will last about six hours and 13 minutes, Petro said. A multiple exposure photos shows the Moon over Idlib, Syria, July 27, 2018. Residents in Australia were able to see the lunar eclipse as the moon sets, while those in eastern Brazil and western Europe could see it as the moon is rising. 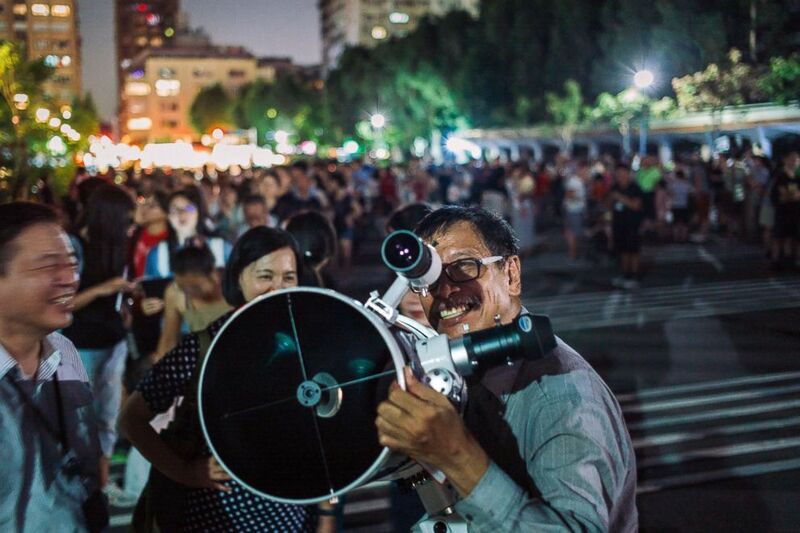 People set up telescopes to witness a rare lunar eclipse, July 27, 2018 in Taipei, Taiwan. Petro suggested either renting a boat and driving it to the middle of the Indian Ocean or visiting relatives in Ethiopia for the "best seat in the house." A San Antonio couple named Miguel and Sara who experienced the eclipse from Cairo, Egypt described it as a "beautiful" sight. 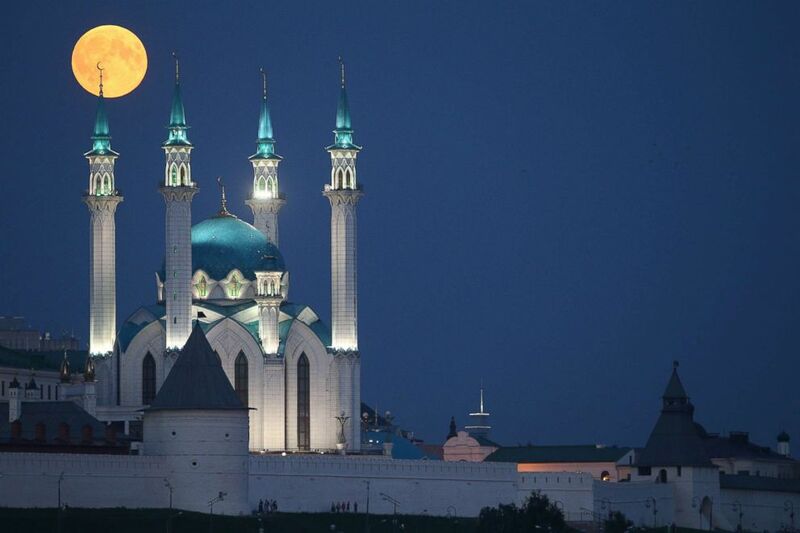 A blood moon is seen over the Qolsarif Mosque, Kazan, Russia. "It looks like a giant tangerine," Miguel told ABC News, adding that Cairo" was "a little bit colder than Texas right now." The full moon during a "blood moon" eclipse as seen from Cairo, July 27, 2018. 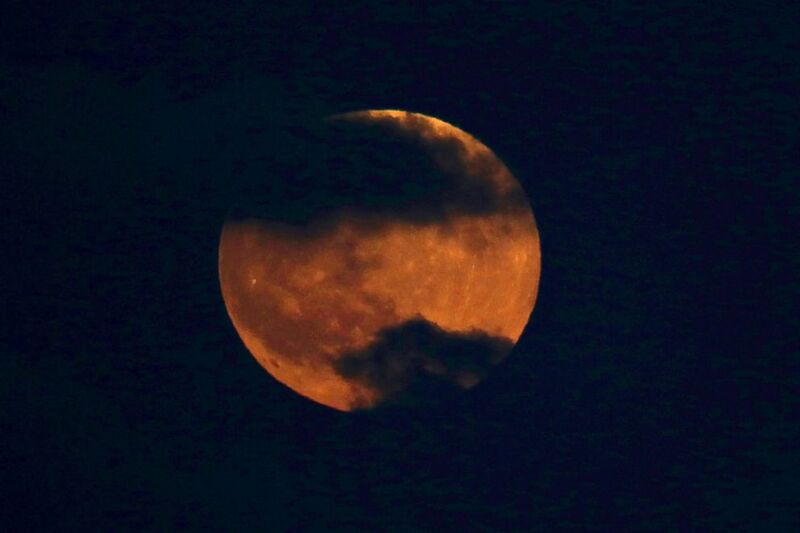 Cloudy weather conditions in cities like London, Moscow and Hong Kong obstructed views of the blood moon in those areas. 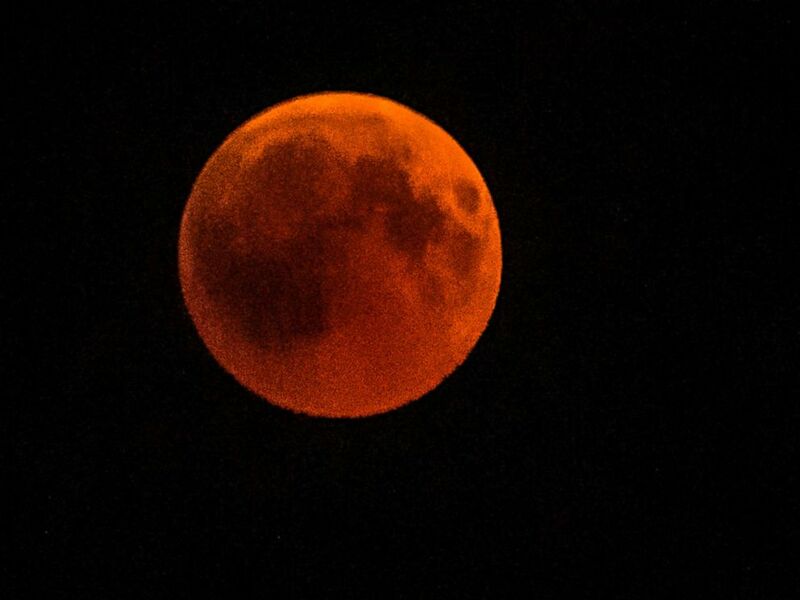 A blood moon rises over Tel Aviv, Israel, July 27, 2018. ABC News correspondent Matt Gutman described the sight of the lunar eclipse from Hong Kong as "more like a gray smudge," due to the weather. However, cities like Rome and Cairo, as well as several areas in Africa, had a clear picture of the moon. In the U.S., the lunar eclipse began around 1:14 p.m. ET, with the maximum period of totality will starting around 4:21 p.m. ET, making it too light outside for the blood moon to be visible, Petro said. Although U.S. residents weren't able to see the eclipse, they should still note that the Lunar Reconnaissance Orbiter -- NASA's robotic spacecraft orbiting the moon -- experienced it first-hand, Petro said. The LRO was launched in June 2009 to provide detailed maps to identify "safe and interesting" landing sites on the moon for future human and robotic exploration. 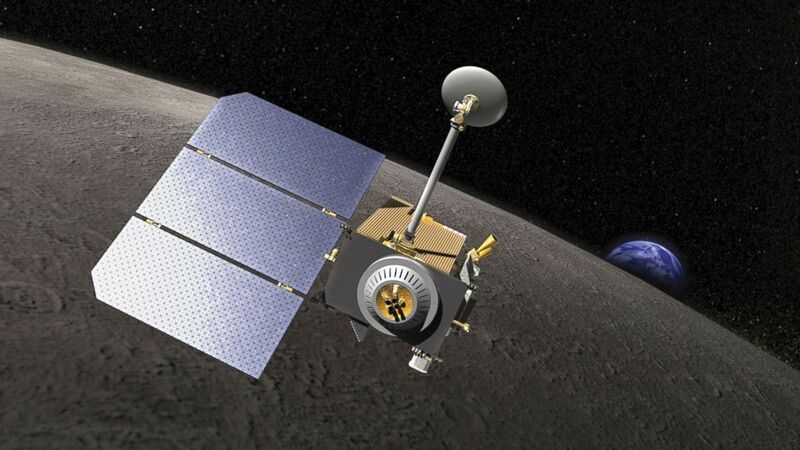 Artist'S concept of the Lunar Reconnaissance Orbiter. "The moon really holds the secret to understanding how the solar system works," Petro said. This combination of 14 pictures put together and taken on July 27, 2018, shows the moon during a total lunar eclipse near to La Puente town, canary Spanish island of Tenerife. It's a good time for Americans to start getting excited about the moon, as NASA will begin celebrating the 50th anniversary of Apollo 11, the spaceflight that made astronauts Neil Armstrong and Buzz Aldrin the first two people on the moon, in October, Petro said. Armstrong and Aldrin landed on the moon on July 20, 1969. The next total lunar eclipse visible in the U.S. will be on Jan. 21, 2019, according to NASA. It will be a super moon as well, which is a full moon or new moon that coincides with the moon's position at it's closest to the Earth. 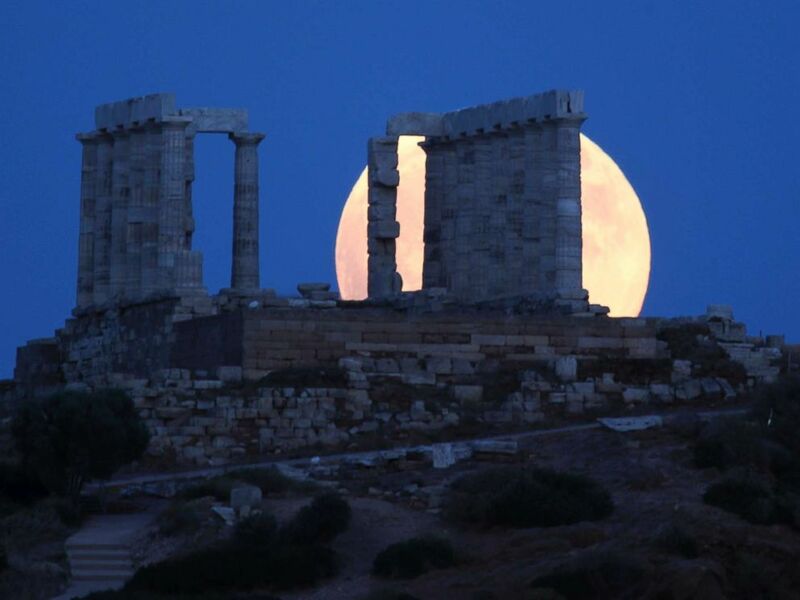 A full moon rises behind the ancient temple of Poseidon in Cape Sounio, south of Athens, July 27, 2018. A partial lunar eclipse -- which looks "like someone took a bite out of the moon -- will also be visible in the U.S. in July 2019, Petro said. 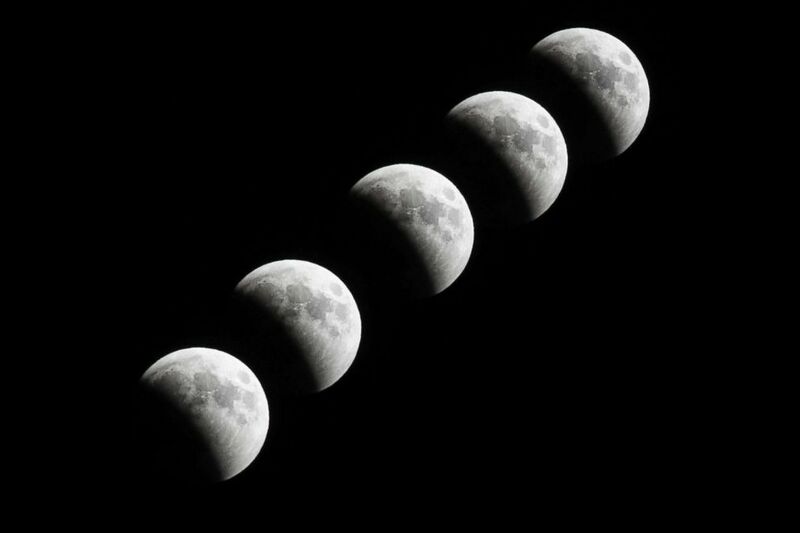 The partial lunar eclipse involves the southern half of the moon passing into the earth's shadow, he added. A blood moon is a term used to describe a total lunar eclipse, which is when the moon appears darkened as it passes through the Earth's shadow. 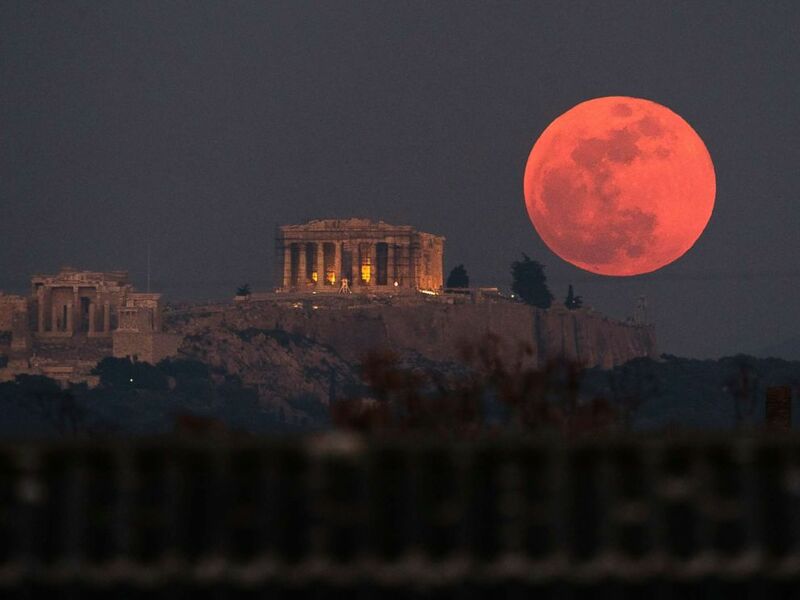 A super blue blood moon rises behind the 2,500-year-old Parthenon temple on the Acropolis of Athens, Greece, on Jan. 31, 2018. The total lunar eclipse is given the "blood" nickname because of the "beautiful" red color caused by the projection of all of the Earth's sunrises and sunsets onto its surface, Petro told ABC News earlier this year, before the super blue blood moon event that took place on Jan. 31.